Welcome to the most comprehensive Lofts Guide for the metro area. Below you can read more about each building or search for available lofts and condos in a specific neighborhood. Of course feel free to contact us or call us for even more information on the units for sale in each development. Denver lofts are hot right now! 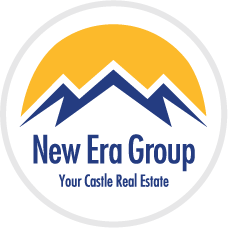 Make sure to check back frequently as we are always adding new developments that come to market. City Guide Entertainment What is a Denver Loft? True lofts with timber beams, exposed brick in a great location! The Acme Lofts are located in a building that was built in 1909 and used by the Brecht Candy Company. At one time Brecht was producing 3 million pounds of candy a year. Don't worry, it doesn't smell like candy anymore as the conversion was done back in 1992. The building is now called the Acme Lofts, and it is within walking distance to Coors Field, Pepsi Center, the Center for Performing Arts, and a large selection of quality restaurants and shops. The Acme Loft building offers a rooftop deck with city and mountain views. This former 1896 warehouse building has been converted into stunning luxury units. The beauty of hardwood floors, granite counter tops, and a classic loft design make this one of the most desired places to live. Included is garage parking, as well as a roof-top deck perfect for entertaining friends and enjoying the night air. Located right next to the Pepsi Center you are perfectly placed to give you easy access to Coors Field, Invesco Field at Mile High, 16th Street Mall, and many of downtown's lively pubs and restaurants. You're so close to the excitement and entertainment of LoDo that you will be the envy of all your friends—not to mention your morning commute just got a lot quicker. Come check them out and see for yourself! This 1921 warehouse building in the Lower Downtown Historic District was converted to 18 large luxury lofts, including a story and a half penthouse addition, and first floor commercial space. The project features true loft living with an open rooms and vaulted ceilings. With hardwood floors, huge closets, granite counters and underground parking, these units have the best in amenities. On your short walk to the Pepsi Center you will past excellent restaurants, cozy pubs, and entertainment options galore. Returning from the game you can revel in a fantastic view of the mountains and downtown. Perfect for entertaining, commuting or simply enjoying the urban lifestyle. Perfectly located where Wazee Street crosses Cherry Creek in historic Lower Downtown/Auraria, the convenient location is within easy walking distance from a vast array of restaurants, pubs, museums, and cultural performances. In the early 1990's the building was acquired and in 1992 converted to residential lofts. Features of the historic building include heavy timber beams throughout, original brick walls and hardwood floors. 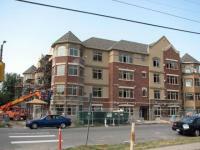 Most units have great views of the Rocky Mountains, downtown, and beautiful Cherry Creek. The smaller size, only 12 units, allows the residents more privacy, and cuts down on noise, while providing a wonderful living experience in this historic building. 2245 Blake Street offers new brick & steel construction and professionally designed kitchens of the highest quality with slab granite and custom cabinetry. This building offers six stories of great living spaces. Few buying opportunities offer the combined convenience, location, luxury, and one-of-a-kind lifestyle of 2245 Blake Street Lofts. Perfectly located just steps from Coors Field, residents at 2245 Blake Street enjoy a singular quality of life: fine restaurants, eclectic shopping, galleries, theater, sporting events, and fabulous nightlife are all just moments away. Every residence is a true loft space, providing the flexibility to create a living environment that reflects the unique tastes and needs of every buyer. Kitchens and baths are wonderfully finished, and buyers have the option to customize floor plans to suit their specific needs. Buyers can choose the number and size of bedrooms and closets, and add home office space, all available from the builder at predetermined prices. Most lofts have 10' ceilings (two have 17' ceilings! ), incredible views of downtown Denver or the mountains, brushed nickel hardware and fixtures, hardwood floors, energy-efficient low-E Pella windows and French doors, and central heating and air conditioning. Each residence is fireproofed, fully sprinklered, and an acoustical separation system between the floors and walls of each home has been installed for sound transmission control. Common resident amenities include a fitness room, high-tech video camera/phone security system to monitor and communicate with visitors, convenient underground parking, a passenger elevator, and a rooftop terrace with hot tub, gourmet grill, and fabulous views. Located in Downtown Denver with access to all of Denver's nightlife. New 5-story concrete and brick construction. Three residential loft levels and two levels of secured underground parking. Twenty-seven lofts, most featuring spectacular city or mountain views. Open, light-filled floor plans. Air conditioning, forced air heat, and elevator access. Private storage units included. Stadium Lofts are located at the corner of 23rd and Blake street, just north of Coors Field in the Ballpark neighborhood. One of the best lofts in Ballpark with incredible city and mountain views, 14' ceilings, hardwood floors, copper and granite countertops, exposed brick, balconies. Only ½ block to Coors Field. Destined to be a landmark, Zi is poised to transform Denver urban living. Contemporary design, lasting construction, and inspired detailing find a home on a first-class downtown corner. Step out for downtown adventure! With Coors Field as your front yard, the city's best restaurants and clubs around the corner, and the parks within walking distance, the neighborhood becomes an extension of your home. Quality Hill is becoming the epicenter of a new urban lifestyle that has resplendent parks, gourmet grocery shopping, and a multitude of trendy dining and nightspots--all within easy walking distance. Live close enough to the allure of downtown and LoDo to share in the excitement while avoiding all of the commotion and congestion. Quality Hill Townes represent the first new residential opportunity created within the Quality Hill Historic District in more than three decades...an opportunity for a secure urban environment that blends the finest quality indoor living with unusually creative ways of accessing the outdoors. Indoors, the details will need to be seen (and touched!) to be appreciated: dramatic ceilings, alluring hardwood floors, and kitchens that radiate the finest choices of granite, cabinetry, and appliances. The Townes will have available two secured and attached garages, rooftop decks, large balconies, rough-ins for hot tub, outdoor cooking centers to entertain guests, and city views. Located on floors 18 to 45, Four Seasons Private Residences Denver inspires with stunning interiors and soaring Rocky Mountain and cityscape views. Four Seasons Private Residences Denver offers the ultimate downtown convenience for business, shopping and entertainment. Just steps away are the acclaimed Denver Center for the Performing Arts, Larimer Square, and LoDo. A myriad of restaurants, boutiques, galleries, and nightclubs are within two blocks. Three major sports stadiums are in walking distance—or travel in style by Four Seasons car service. Four Seasons Private Residences Denver is close to everything the urban home buyer could desire. Isbell Lofts is located at 18th and Lawrence within easy walking distance of the restaurants and shops on the 16th Street Mall. The project is a complete renovation of the Isbell Kent Oakes Dry Goods building, a manufacturer and wholesale distributor active from the 1920s through the 1960s. Many new design elements have been added to enhance the charm and character of the original structure. The loft project encompasses 37 classic loft condominiums with 20 one-bedroom units, 10 two-bedroom lofts, and 7 two-level penthouses. The building is a mix of exposed brick, heavy timber beams, concrete, and hardwood. Ceiling heights range from 11 to 15 feet with 20-ft. ceilings in penthouse living rooms. Many of the loft residences have views of the city and Skyline Park. This LEED-certified eco-friendly high-rise community is one of the tallest residential developments from Las Vegas to Chicago at 41 stories. These units feature floor to ceiling exterior glass walls with unobstructed views over the Colorado Convention Center to the Southwest of the Rocky Mountain Range. At Spire there is more than 35,000 square feet of shared space perfect for entertainment, exercising and relaxing. It is a truly modern urban living environment with everything you need and want at your fingertips. Spire features ground floor retail, eight-stories of parking and 33-stories are reserved for residential. There are 503 residential units and an additional 602 covered parking spaces have been added to the CBD. The residential units have 10-foot ceilings, balconies, slab granite counters & Ultra high speed structured wiring. The building features 24-hour concierge & security, health club, media room, pool, fire pit, hot tubs, and WiFi. 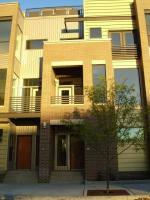 Creekside Lofts are located right on Cherry Creek in the Central Platte Valley, downtown Denver’s newest community. To the northwest is Commons Park along the South Platte River, to the southwest is the Pepsi Center, and to the northeast is Coors Field and historic Lower Downtown Denver (LoDo), with its endless array of restaurants, pubs, museums and cultural performances. While no two of these loft-style homes are exactly alike, all will boast the sleek, urban architecture and design elements you’d expect to find in the most upscale lofts. All of the loft residences will feature imaginative interior finishes, top-quality construction, and the most modern appliances and fixtures. All have terraces or balconies and many have views overlooking Cherry Creek. 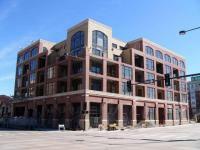 Flour Mill Lofts is located in the Central Platte Valley, downtown Denver’s newest community. The neighborhood faces Cuernavaca Park along the South Platte River with the new Riverfront Park development to the south. To the east is Coors Field and historic Lower Downtown Denver (LoDo) with its endless array of restaurants, pubs, museums, and cultural performances. Phase 1 comprises 17 lofts and is the converted Pride of the Rockies flour mill, the last remnant of an industry that flourished in the Central Platte Valley in the early 20th century. Although only the mill building and three storage bins survive from the large grain processing complex, the 1920 mill is the last surviving structure of its type representing this aspect of Denver's early 20th century milling industry. The building is placed on the National Register of Historic Places. Phase 2 is a new 30-unit luxury loft complex designed and constructed with similar architectural features. Other features of Flour Mill Lofts include secure building entry directly off the park through parking garage, state-of-the-art windows with low emissions glass designed to match the historic scale and proportions of the existing windows, hardwood floors throughout, 12' to 16' high ceilings, acoustically insulated separate walls, polished chrome fixtures and guest parking on the upper deck of parking garage. "Urban chic" is the perfect description of these 1- to 4-bedroom lofts. In addition to exposed concrete columns and ducts and mosaic glass ceramic tile in the bathrooms, many of these residences have floor-to-ceiling, wall-to-wall views of the city and the striking mast and cable suspension bridge that links Riverfront Park to downtown. The seven-story building, located on the corner of 16th Street and Little Raven Street adjacent to the CML Crossing Bridge, has 66 lofts that range in size from 885 to 4,149 square feet and have the most contemporary look of the Riverfront Park residential buildings. Outside: Spectacular city and mountain scenery, plus picnicking and recreation in the park. It’s also just a quick walk to everything from the Denver Botanical Gardens to the legendary Tattered Cover Bookstore. Inside: Custom kitchens with granite countertops and stainless steel appliances. Add in an upgraded fitness center and a clubhouse, and everything you need is readily available. 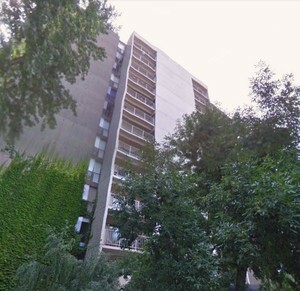 Awesome and affordable, it’s luxe living for less at Clarkson Flats. You’ll enjoy travertine tile, granite countertops, and even eco-chic bamboo flooring. Check out the great views from your balcony, then head out to your favorite neighborhood pub (plenty to pick from, all just steps away). Epic on the Park Condos is one of the hottest selling properties in Congress Park. Modo Developers re-develops cool old buildings in great locations though extensive renovations inside and out. Their formula combines modern design, great location, and affordable prices. The newly renovated building has updated electrical and plumbing systems, along with features like new windows, high-end standard finishes like stainless steel appliances, hardwood floors in most units, quartz countertops, original artwork thresholds, energy efficient modern lighting, modern kitchen cabinets, polished concrete kitchen floors, included internet, and more. All you have to do is move in and enjoy! All this in the famous Congress Park neighborhood brimming with shops and restaurants. Walk to Cheesman Park, the Botanic Gardens, and Tattered Cover, with quick access to Cheery Creek and downtown. Clean lines and modern appeal, functionality and efficiency, and fresh twists on standard living: 1200 Delaware is made for the spotlight. Three story floor plans deliver unique town home living where style is as valued as comfort. Expansive glazed windows radiate light through the front and back of each home. All 1200 Delaware homes have panoramic views of downtown Denver and are in close proximity to all that Golden Triangle has to offer, from funky boutiques to art galleries and coffee shops. Gallery-inspired condominiums, designed by Daniel Libeskind, overlook the new expansion of the Denver Art Museum. With striking city and mountain views, Museum Residences are the last opportunity to live in a place where art, architecture, and theatre connect with the pulse of the city. The Museum Residences, wrapped in transparent & opaque glass with Rheinzink™ accents, are condominiums driven by Daniel Libeskind’s passion for gallery-inspired living—a fusion of design that connects you fully to the intellectual, emotional, and sensual. Here you’ll find generous space for your art collection, original angles for sculpture, a sophisticated zeitgeist with clean lines, contemporary kitchens, and terraces that embrace the outdoors. All to ignite conversation, encourage discovery, and promote connectivity. Open up to a new space of possibilities for what your next home could be. Residents here will have the most convenient access to the excitement of downtown, yet enjoy a whole new world of cosmopolitan attractions arriving to the Denver Art Museum as part of its dramatic expansion. Museum Residences is a place where home, art, architecture, history and theatre seamlessly connect in a celebration of life and spirit. Open up to all the exciting possibilities of what a home in the city can be. Looking for a gorgeous boutique condo? Then the sharply designed Mondo Condos are for you. Custom Italian cabinetry, European light fixtures, stainless steel appliances, private outdoor space, garage parking, and hardwood floors. All these are yours—along with a fireplace. Mondo’s fabulous location includes proximity to all the clubs, eateries, and shops you’ve been meaning to check out. Don't miss Mondo Vino, whose proprietor, Duey Kratzner, also built these condos just down the street so you can enjoy the weekend wine tastings just steps from your new home. Located next to Cherry Creek at the gateway to Lower Downtown are the new offices and residences at 1400 Wewatta. Conveniently located between Wewatta and Wynkoop Streets, the project is only one block from both Union Station and the Pepsi Center, Denver's premier event and entertainment venue. Designed by Shears Adkins Architects of Denver in cooperation with Opus Architects and Engineers, the mixed-use project provides for both the corporate and creative classes by offering two structures that utilize distinct, yet complementary, design features. 1400 Wewatta, a 9-story, 210,000 square foot facility along Wewatta Street, includes approximately 10,000 square foot of retail space, and offers its tenants the classic modernism of glass and metal finishes with a large, elegantly appointed lobby. 1401 Wynkoop, a 10-story facility along Wynkoop Street, includes 100,000 square feet of office topped by 3 levels of luxury residences, providing a design for individuals desirous of enjoying the convenience of the Central Business District and the LoDo living experience. 1401 Wynkoop utilizes brick and cast-stone elements, providing its tenants the feel of more traditional LoDo buildings all the while providing the benefits of true Class AA space. Both addresses feature richly appointed common areas and mechanical systems representing state-of-the-art design and quality. Tenants also receive the added features of office balconies, immediate access to the Cherry Creek path, and the opportunity for unobstructed mountain views. Typical floor plates range between 21,000 and 26,000 rentable square feet. Dedicated onsite parking is provided with two levels below grade and one level above grade. Secured parking for the luxury residences is segregated from the office parking, which includes in-building visitor parking. 1400's close proximity to the Pepsi Center eliminates the need to re-park for sporting or entertainment events. 16 Market Square, an award-winning mixed-use building, is located on 16th Street at the gateway to Denver's historic Lower Downtown District. This architecturally unique structure combines 25,000 square feet of restaurant and retail space, 183,000 square feet of Class AA office space and 23 luxury residential penthouses atop a three-level underground parking garage. The eight-story building is located directly across from Market Street Station. The building exterior features high-end finishes including brick arches, large architectural and structural precast concrete pieces (some weighing as much as 20 tons), limestone soffits, and a granite base at retail level. Located just south of Coors Field, the home field of the Colorado Rockies, this is a great place to enjoy all that Denver has to offer. 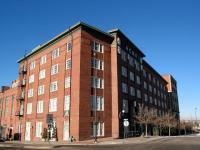 This location allows for easy walking to many fantastic restaurants and museums in addition to the 16th Street Mall. The units feature gourmet kitchens with granite counters, stainless-steel appliances, breathtaking views and designer tile bathrooms. 1890 is an eight story building with the top three stories dedicated to luxury lofts. With the abundance of restaurants, great pubs, dance clubs—not to mention the Rockies—this is a fantastic place to call home and enjoy everything the city has to offer. History meets modern style in the Barteldes Seed Building, which celebrated its 100 year anniversary in 2006. The building was built when Denver was the seed center of the United States, furnishing enormous quantities of seeds to the leading seed houses of the country. According to a June 28, 1906 article in The Denver Times, the Barteldes Seed Company's new warehouse, designed by Gove and Walsh, was the heaviest construction ever built in the city. The walls and floors were constructed to stand 600 pounds of loading per square foot on all of its five floors. It has a Richardsonian design with a finely proportioned facade with fine brick detail. The second floor was attached by a pedestrian bridge to the 16th Street Viaduct until the viaduct was removed in 1994. The property was rehabilitated into georgeous lofts and office space in 1987. Located at 15th & Wynkoop Streets, close to the center of historic Lower Downtown Denver (LoDo), you will find one of the hottest properties in town. An array of restaurants, pubs, museums, and cultural performances are all within easy walking distance making these homes pefectly situated within the metro. The property was originally owned by Spratlen-Anderson, a successful Denver wholesale grocery business that remained there until the company was dissolved in 1923. The subsequent owner, Davis Brothers Drug Company, occupied the building until 1957. The building was added to the National Historic Register in 1985. The warehouse was acquired and converted to residential lofts at the beginning of Denver's Lower Downtown renaissance in 1990. As the original loft project in LoDo, most of Edbrooke's lofts are larger than average, ranging from 1600 to over 4000 square feet. The Edbrooke Building lent itself well to residential renovation with exposed heavy timber beams, high ceilings, interior brick walls, and hardwood floors. The Franklin Lofts are a renovation of an existing four story heavy timber non-reinforced masonry warehouse into a six story, 32 unit residential loft building with underground parking. This beautiful historic building has a true urban living feel with hardwood floors, granite countertops, and plenty of open space. Close to many attractions, including Union Station, there will always be plenty to do, plenty to see, and many friends to share it with. Hardware Block is a mixed-use, three-building project with 22 luxury lofts, three floors of Class A office space, 19,000 square feet of storefront retail space, and 70 heated underground parking spaces. The project was completed and occupied in 2002. A great historic Denver building converted to produce fantastic one of a kind living spaces, the lofts feature big rooms, hardwood floors, exquisite kitchens, and a great location. Close to the Pepsi Center and a myriad of fantastic restaurants, pubs, and clubs of all tastes, you'll find living downtown brings all the opportunity for fun that you could want. The Ice House is located at 18th & Wynkoop Street just north of Union Station. Near the center of historic Lower Downtown (LoDo), it is within easy walking distance of restaurants, pubs, museums, and cultural performances. Designed and built around the turn of the 20th century, the building was home to the Littleton Creamery and Beatrice Foods Cold Storage Warehouse. The building exhibits skillful masonry work in its brick polychromatic exterior and its successful functional design as a cold storage warehouse in continuous use for eighty years. The building was added to the National Historic Register in 1985. Constructed in 1871, this building was home to the John Deere Plow Company which sold horse-drawn carriages and farm implements. Renovated in 1995 by OZ Architecture, the building now includes residential lofts, offices, and retail space. Units have fantastic brick walls full of possibilities for enhancing with any decor. Some have hardwood floors, decked out kitchens, and private balconies. Larger units are almost 2,500 square feet. Snow removal, maintenance, trash, water, and sewer are covered in HOA fees, so all you have to do is enjoy living in one of the coolest places in LoDo! 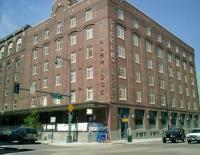 Located adjacent to Coors Field in lower downtown Denver, the building contains 18 luxury lofts. Close access to restaurants, pubs, and entertainment makes this property a great place to live. The 7-story concrete structure includes an electronic card access security system which monitors entry into the parking lot and individual lofts. With great traditional looks, with modern amenities, these lofts are highly desired and great places to live. "...The Wynkoop Building is a massive seven-story post tension cast-in-place structure. Located above the Chop House, the new infill building was designed to simulate the look of a restored warehouse. For sound attenuation and to eliminate noise from surrounding spaces a layer of ¾" cork topped with ¾" plywood was placed on all the floors, followed by the final surfacing of concrete. The low-E coefficient windows help control heat loss/gain as well as protecting artwork and furnishings..."
The building is located at a premier address on Blake Street, perfect for anyone desiring to live, work, or play downtown. The units feature hardwood floors, granite countertops, walk-in closets, and more. In addition to high-class living, they are within walking distance of Larimer Square, Pepsi Center, the Center for the Performing Arts, Coors Field, Invesco Stadium at Mile High, Ocean Journey, and the many wonderful restaurants and art galleries located in LoDo. This building brings all the amenities one would expect and the perfect location. Check them out today! These great lofts are located just one block south of Coors Field in one of the most convenient locations for enjoying all the amenities that Lower Downtown (LoDo) has to offer. Close to many professional sport, food, and entertainment options, this is one of the most popular places in the metro. This building is one of the last constructed in Lower Downtown (LoDo) between the Depression and the wave of building and development begun in the 1980s. It was originally built as a multi-tenant merchandise mart. In 1886 architect Montana Fallis came to work for the firm of architect Frank Edbrooke. In 1905 he joined John J. Stein to form the firm of Fallis and Stein. During the four years they were together, they designed a variety of large office and apartment buildings, churches, hotels, and theaters. Among the most notable was the Ideal Office Building, now the Rocky Mountain Warehouse Lofts, the first concrete "fireproof" building in Colorado. In 1912, Fallis and his new partner, Robert Willison, employed their fondness for glazed terra-cotta in the ornamental detail of the Oxford Annex. Fallis used an Art Deco design in brick with accents of terra-cotta for this building. The interior is noted for its large rounded cement columns. The building has been in continuous use, with its most recent incarnation as forty-seven loft condominiums with underground parking completed in 1994. Balconies were added during the early 1990s renovation providing exterior space that house amazing urban gardens in the summer months. As one of LoDo's historic brick buildings, this property was perfect for renovation. Architectural features include interesting corbeled cornices, exterior brick panels, hardwood floors, and interior brick walls. With only two stories and nine lofts, the S.H. Supply Co. Loft residences offer privacy and a great location. Located on Wazee Street between 17th and 18th in Lower Downtown (LoDo), this is another great property that is right in the center of some of the best entertainment and fun in the area. Built around 1909 during the rail streetcar era, it is now a great place to enjoy the adventure and excitement of downtown. Located in the center of the metro's entertainment and sporting district, this building is in the perfect spot to enjoy all downtown has to offer. The Pepsi Center, Coors Field, Ocean Journey, REI, Elitch Gardens, and The Center of Performing Arts are only blocks away. Union Station is just across the street and provides quick access to Light Rail, the Mall shuttle, and the train to DIA. Enjoy a short walk to work downtown, or a quick ride to anywhere in the city. This is the perfect location to access all the hot spots in Lower Downtown. Located right across from Union Station in the heart of historic lower downtown (LoDo), the 136,000 square foot building has 43 premier luxury residences with first floor retail that includes two restaurants, a liquor store and a coffee house. Residents enjoy easy walking to many of the greatest entertainment venues in the metro. Great restaurants, sporting events and clubs just add to the attraction of these great homes. The building, originally constructed in 1882, has both national and state historic designations. The original facade was left intact with the exception of the roof. The units on the 4th floor were given a new mezzanine level with balconies. 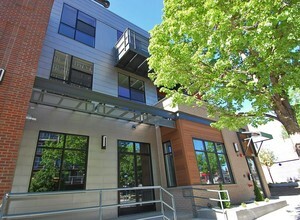 This progressive, contemporary residential unit is on a prime block in the heart of LoDo! The building combines large walls of glass, masonry, and titanium to create a very unique architectural statement. Titanium has even been incorporated into the front door handles and columns for an added touch. The original Wazee deco building facade was saved and the rest of the building was built around it. The 5-story building has retail on the first floor and 24 residential units on floors 2-5. There is generous underground parking for the residents. Titanium is a 21st century building built within a 19th century historic district. The project paid close attention to the detail and elegance of a former time. It also reflects the creative expression of current construction technology with the use of titanium metal columns. The building was carefully designed to make a futuristic statement yet fit seamlessly into the historic context of its neighboring buildings, adding a unique touch to the rich landscape of Denver’s growing downtown district. This great development sits on the quiet side of historic lower downtown (LoDo), overlooking Cherry Creek, the Pepsi Center, and the Rocky Mountains. Outside the front door are the walking and biking trails along Cherry Creek and access to miles of entertainment. Within easy walking distance are LoDo's famous restaurants & pubs, Larimer Square, Six Flags Elitch Gardens, Ocean Journey, the new Bronco Stadium, Coors Field and the Performing Arts Complex. The thirteen-story building has 164 luxury units that offer 10-ft. ceilings, large balconies, bamboo hardwood floors and gourmet European-style kitchens with slab granite and the newest in Kitchen Aid stainless appliances. This is the gateway property to the west entrance of LoDo and is fast becoming one of the most sought after properties in the area. As one of the only developments on the banks of the Cherry Creek, it offers residents 'tranquility in the city'. This great building is located on the southwest end of the historic Lower Downtown district (LoDo) with easy access to numerous restaurants, shops, and entertainment venues. The building has 17 residential units with ground floor retail and was designed to comply with strict Interior Department standards for rehabilitation of historic buildings. This fantastic residential development perfectly combines historical ambiance with modern amenities. The building is set between three historic structures, all of which are over 100 years old. The West End Lofts were finished in 2002. These are true lofts in the sense that the building was an old warehouse that was converted into lofts. Thus the floor plans are spacious and feature 14' ceilings and lots of light. Great views of the city! The J.S. Brown Mercantile building was designed by renowned Denver architects Gove & Walsh (Littleton Creamery, Union Station center) and constructed in 1899 for John Sidney Brown's wholesale grocery business. As a fine example of 19th century commercial architecture, it was added to the National Historic Register in 1988. The Wynkoop Mercantile Lofts feature open living areas with large kitchens and private decks, spacious master suites with large open bath and huge walk-in closets. Historic details include red brick, heavy timbers, spiral staircase, and high ceilings. Make your home in one of these loft-like townhomes and you’ll be living in Denver’s hottest and most happening neighborhood. A project of award-winning Sprocket Design-Build architects, this community features soaring vaulted ceilings and sleek finishes throughout. You’ll have hardwood floors and walk-in closets, of course. And your ride(s) will reside in a secured garage. 5 floors, 49 lofts, construction completed in 2003. Part of the larger Prospect Place Development / Tomboy Lofts. Ajax Lofts is located in the new Prospect Place neighborhood, one of the exciting projects in Denver's Central Platte Valley, just west of historic Lower Downtown (LoDo). From this convenient location, loft residents can walk to LoDo restaurants or jog and ride the paths along the Platte River & Cherry Creek. Utilizing heavy timbers in its construction, Ajax Lofts was designed to emulate the historic buildings found throughout LoDo, but has all the amenities of a modern building. It has spectacular views, expansive windows, and balconies or terraces with most of the loft residences. The lofts range in size from 625 to over 2,000 square feet with a variety of floorplans. Everything about Inca 29 says style and convenience. A signature collection of spaciously unique 2 and 3 bedroom residences with attached 2-car garages and private rooftop decks, at Inca 29 you will find thoughtfully designed urban residences. The true “townhouse style” homes have open and spacious floor plans featuring magnificent views, nine to nineteen foot ceilings, dramatic windows, wood floors, European style kitchens, Viking appliances, slab granite, and designer baths. The community is centrally located in the vibrant new Prospect Place neighborhood in the Central Platte Valley just west of Coors Field. With 90 acres of parks along the South Platte River and the adjacent Commons Park, Inca 29 Urban Brownstones is a place you can call home! Jack Kerouac Lofts are located in the new Prospect Place neighborhood, one of the exciting projects in the Denver's Central Platte Valley, just west of historic Lower Downtown Denver (LoDo). From this convenient location, loft residents can walk to Lodo restaurants or jog and ride the paths along the Platte River & Cherry Creek. The Jack Kerouac Lofts are available for pre-construction purchase. Located on the very same ground that Jack roamed while living and working in Denver, this special collection of downtown living spaces offer the best value in the Platte Valley with prices averaging in the mid-$200 thousands, and spaces ranging from 600-1800 square feet. The Jack Kerouac Lofts will feature open floor plans, high ceilings, large windows, heated parking and individual outdoor balconies that provide the inspiration for a lifestyle with a beat, all within easy walking distance of Union Station, Coors Field, Lodo, and Commons Park. Water Tower Lofts appeals to residents who wish to own a spectacular piece of Denver's history. Its stunning architectural features include exposed heavy timber beams, high ceilings, large windows, interior brick walls, and hardwood floors. Water Tower Lofts stands proudly as the jewel of Inca Street. It was originally built around 1894 as a warehouse during Denver's Rail/Streetcar Era. In the early 1900s the American Furniture Company started to use the building as a warehouse for its retail store on Lawrence Street. Over the last century it has been used as a warehouse for a variety of transfer and storage businesses including sporting goods retailers. 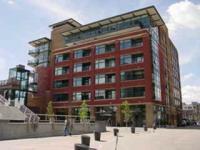 Fire Clay Lofts is located within walking distance of Coors Field in Downtown Denver. Named after the Fire Clay Brick Company, the site has 166 units including 32 dedicated towards affordable housing. Exterior amenities include a secured parking lot with a remote entry system, bike racks, and multiple courtyards. Inside the units you will find beautiful hardwood floors, carpeted bedrooms, maple or cherry cabinetry, and granite tile countertops. Fire Clay Lofts provide a comfortable place to live and a location that can't be beat. 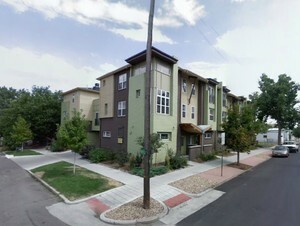 Luxurious urban brownstones and flats in downtown Denver make Blake 27 an oasis in the city. At Blake 27 you will find thoughtfully designed residences offering true urban living, a maintenance-free lifestyle, and contemporary design. We have brownstone homes available for move-in with open and spacious two and three bedroom floor plans. All homes offer magnificent views, nine to ten foot ceilings, dramatic windows, wood floors, designer baths, European-style kitchens, slab granite counters, and GE stainless steel appliances. The community has a downtown location in the Ballpark neighborhood that’s second to none! 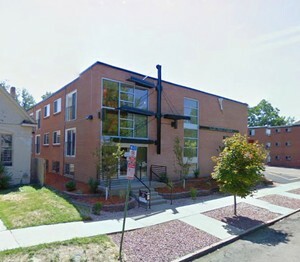 The Lofts at Stapleton are located on the Town Green in the heart of Stapleton's first neighborhood. The Town Green features an amphitheater seating 500 people, as well as a dramatic fountain area, benches, walking paths, trees, and manicured lawns. Luxury two-story townhomes grace the first two levels of the building, and one- and two-bedroom lofts occupy the second two floors. The Lofts at Stapleton are ten minutes from downtown Denver, twenty minutes to Denver International Airport, just a few minutes to I-70 and I-25, so you're really connected here. Yet Stapleton's 4,700 acres contain 1,116 acres of parks, bikeways, and foot paths along Sand Creek and Westerly Creek Greenways in addition to a wildlife refuge, an 18 hole golf course, a nature center, and an urban farm. It truly is Denver's next great neighborhood. The townhomes are an elegant choice for someone wanting approximately 1,400 square feet, with two bedrooms, two and a half baths, and a two car garage. These two story homes will offer a spacious terrace at the front of the home, a gourmet kitchen, and a grand Great Room. The one story lofts above range from approximately 600 square feet to 800 square feet, and their unique floor plans offer one bedroom with den to two bedroom suites with baths. Sleek and stylish, with incredibly efficient use of space, these lofts live large. Extra high ceilings, magnificent windows, and well planned kitchens with high tech cabinetry will be highlighted by metal accents, hardwood floors, frosted glass panels, and innovative storage solutions. These homes combine exciting design and unique style never before seen in Denver. Grant Park Condominiums boast full service amenities in a luxury setting. This project includes 126 condominium units in the Uptown neighborhood. Some ground floor retail space are also be part of the project. Rising 32 stories above the city, this shimmering landmark of style and grace boasts floor to ceiling radius glass walls and terraces averaging 150 square feet. Impressive gardens, sitting areas, and an infinity pool complete the shared terrace on the seventh floor. One Lincoln Park is truly one of a kind! What is a Denver Loft?